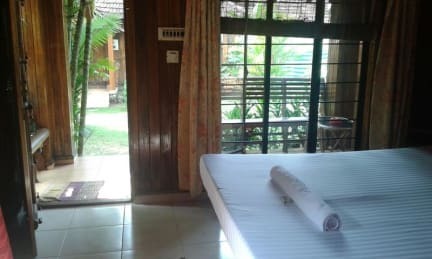 Puthooram Ayurvedic Beach Resort is situated at the North End Cliff, Thiruvambadi at Varkala i.e. just on the edge of the Cliff facing Arabian Sea. Just a few steps away is our Multi cuisine restaurant 'Trattorias', which is an Oriental food court with German Bakery and an Italian espresso Coffee house. Varkala is a part of Trivandrum, Varkala is the only place in southern Kerala where cliffs are found adjacent to the Arabian Sea. 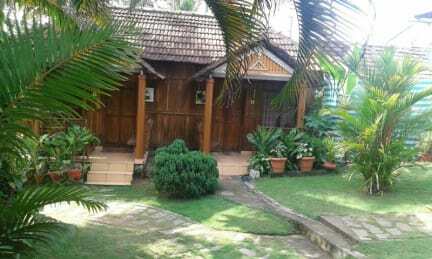 Our Cottages are traditional Kerala style with Wood panelled walls and Mud tiled roofs. 3 of our cottages are a/c and 7 non a/c. Each of the cottage is facing our lush green garden. And each of our cottage have a sit out where you can sit and enjoy a peaceful time. Our restaurant delicacies includes India, Chinese, Italian, Japanese, Thai & Continental dishes. Our Ayurvedic centre is well equipped for Rejuvenation treatment and all sort of ayurvedic treatments and massages. We have a full time Doctor and well trained Therapists to assist you. 1. Check in from 11am and check out until 12 noon. 2. Both cash and credit card (Visa, Mastercard) are accepted upon arrival. 3. Cancellation policy: At least a 5-day advance notice before the arrival date is required. 4. Our reception is open 24hrs. 5. All our rooms are double occupancy rooms, extra Beds are available on request but will be chargeable.